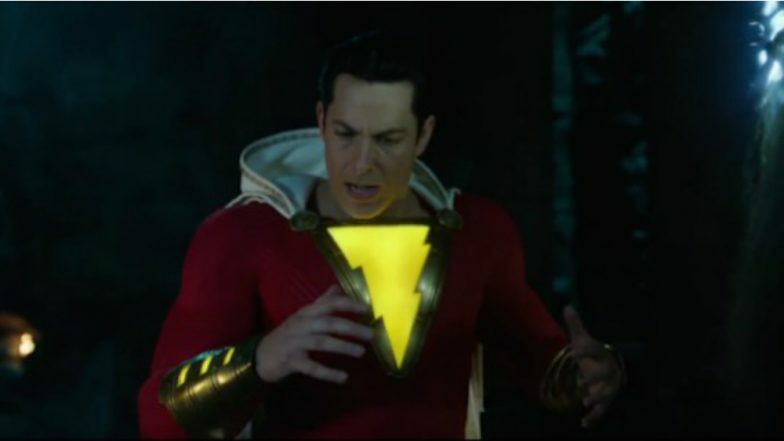 Shazam Full Movie in HD Leaked for Free Download & Watch Online on YesMovies in Hindi: Post-Credit Scene of Zachary Levi-Asher Angel’s Film Spoiled? Shazam!, the seventh instalment of DC Extended Universe (DCEU) hit theatres on April 5 and has charmed both critics and audiences alike. But within a week’s time, David F. Sandberg-directed superhero movie starring Zachary Levi, Asher Angel and Mark Strong has found its way on the internet. Yes, Shazam! full movie is leaked and available for free download as well as watch online. The viewing options do not end here. The illegal websites such as YesMovies, FMovies, 123Movies, TamilRokers, TamilYogi, OnlineMoviesWatch among others are providing links for Shazam! full movie in HD, Shazam! full movie in 1080p, Shazam! full movie in 720p, Shazam! full movie download in Hindi, Shazam! full movie dubbed in Hindi, Shazam! post-credit scene and so on. It is indeed a pathetic situation to be in for any filmmaker, producer to see their films’ box office business suffer in such a manner. Shazam Movie Review: Zachary Levi’s DC Superhero Film Will Make the Child in You Jump in Glee! In a month’s time, audiences got to see not one but two Captain Marvel live-action film. While we will leave the discussion on how Marvel eventually owned Captain Marvel and DC had to be content with Shazam for another day, the important bit is the two comic universes had two big releases. On one hand, was Marvel Cinematic Universe (MCU) who introduced Carol Danvers/Captain Marvel with Brie Larson in the titular character. This 21st MCU flick registered a thumping victory at the box office, becoming first female superhero (in lead) film to cross one-billion-mark box office collection. Now, Shazam! made on a budget of $90 million is not exactly in box-office race with Captain Marvel, but still hoping to present a strong case for DCEU. Shazam! has got positive reviews with critics loving Sandberg's direction and the performances of Levi and Grazer. As for the movie-goers, they are in love with the film’s light tone and sense of fun. So far, the film has grossed $167milllion globally. But with online pirates working overtime and leaking latest movies at the box office on the internet, Shazam! box office collection might take a beating. Fans are also not proving to be much help, as the search terms for Shazam! movie online rises. Some of the many, many keywords flooding the internet are - Shazam full movie, Shazam post-credit scene, Shazam movie download Tamil, Shazam movie download Filmywap, Shazam movie online free 123movies, Shazam full movie in Hindi download Filmyzilla, Shazam full movie in Hindi filmyzilla, Shazam full movie mp4 download, shazam full movie in Hindi 720p download, Shazam full movie in Hindi download 300mb, Shazam full movie HD download, and more. If you’re wondering if Marvel’s Captain Marvel faced similar wrath of online piracy, the answer is yes. Brie Larson’s film was a massive target of online trolls (misogynistic minds) and it soon found itself getting targeted by many illegal websites. But the film emerged a big winner by attracting viewers to the theatres, eventually becoming a proud member of the one-billion club. DCEU would hope a similar result from Shazam! We are hoping for a strict action in place to tackle these illegal websites preying on the latest movies releasing at the box office. Especially with Avengers: Endgame releasing in a few days' time, we hope online piracy is fully curbed.